June 2014 marked a historical milestone in the resettlement of Transnational Corporation’s (TNCs) regulation back onto international agendas. The UN Human Rights Council established an Open Ended Inter-governmental Working Group (OEIGWG) for the development of a legally binding treaty on TNCs and other business enterprises with respect to human rights. The goal was to put an end to the global loopholes and ensure that companies are fully accountable for human rights violations and environmental crimes. The overcoming of current voluntary frameworks of social corporate responsibility represents a key steppingstone in order to make global economy fit for people’s rights and wellbeing and stop corporate impunity. Insist that this Treaty must play an important role in addressing worker’s concerns rooted in labour rights violations perpetrated by TNCs in global value chains. We share ITUC’s view that enforceability of labour standards is a sine qua non condition to restore imbalances between highly privileged investor rights and peoples’ labour and human rights. 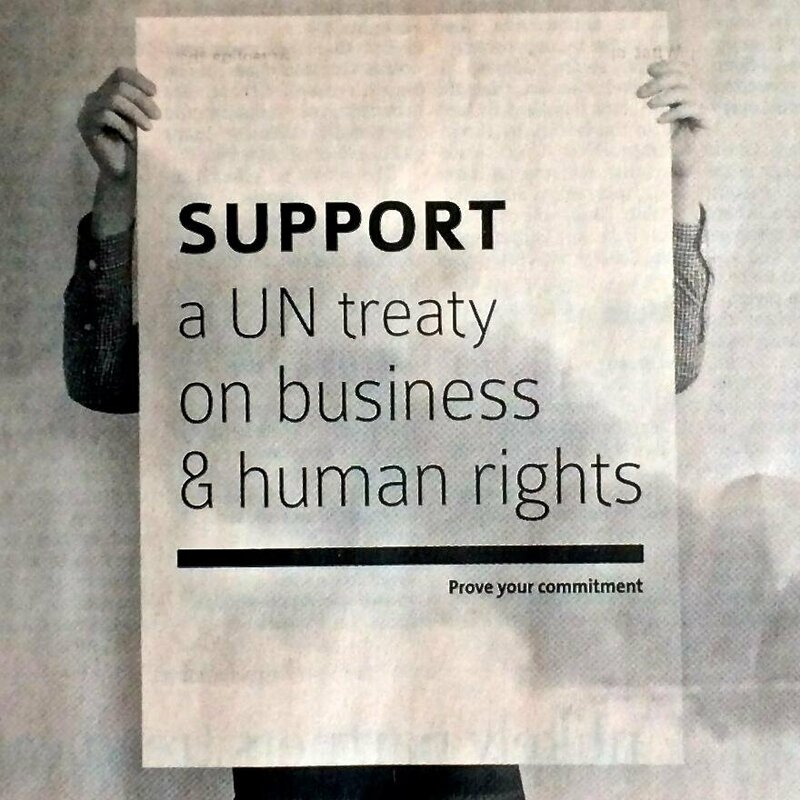 Therefore we urge states, –and regional organisations such as the European Union–, to actively engage in this UN process and to work towards an effective and legally binding international instrument on TNCs and other business enterprises with respect to human rights, in order to ensure that people’s dignity, as enshrined by universal political, economic, social and cultural rights, is prioritised and guaranteed worldwide over private profits.